Does Dare still have the branding skills to make a go of £28m Gio Compario win? At virtually the same moment trendy digital agency Dare triumphantly announced it had won the £28m Gocompare price comparison account, it also had to make an embarrassing disclosure. It had just lost Danny Brooke-Taylor, the executive creative director who, probably more than anyone else at the agency, had laid the groundwork for this signature – and possibly breakthrough – business win. Tempting though it would be to dismiss Brooke-Taylor’s so-far-unexplained departure as an ironic footnote to a much bigger event, it is much more significant than that. The fact is Brooke-Taylor is, or was, almost the last man standing from one half of what – only 18 months ago – was hailed as an historic agency merger. 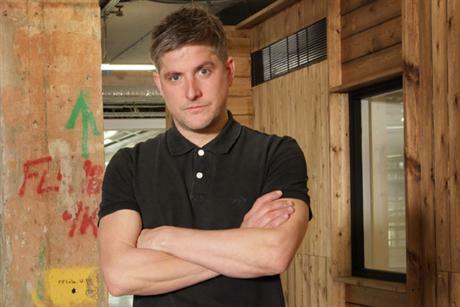 That of Miles Calcraft Briginshaw Duffy – the traditional, craft-based agency incarnate – with Dare – now celebrating its tenth birthday, BBH-bred, and one of the most respected digital agencies on the London scene. MCBD was lauded for its branding skills, its professionalism and its blue-chip client-list. But was viewed, in the nicest possible way, as a little out of its time in the agency world, with a bias towards print advertising. Worse, it never seemed to make quite enough money. Dare, on the other hand, was cutting-edge and dynamic, respected for its management skills, but apparently incapable of producing stand-out creative work – a criticism frequently, and with some justice, levelled at digital agencies. By this time, both agencies were owned by marketing services aggregator Cossette. After a heavily leveraged buyout from public company status, Cossette in Europe was itself undergoing a rebrand (as EdC, or Esprit de Corps), one of whose principal features was the promotion of Dare founder Mark Collier to EdC group chairman. No doubt hoping to make a virtue out of financial necessity, Collier and his colleagues saw lots of “synergy” (and who’s to say they were wrong at the time?) in bringing the two agency brands together. The resultant merger of Dare and MCBD left us in little doubt as to who was on top – the MCBD name disappeared, as well it might given MCBD had a staff of 77 at the time, and Dare one of 189. But that numerical supremacy was not reflected in the senior management line-up. Helen Calcraft, the “C” in MCBD, was the new executive chairman; Andy Nairn, the executive planning officer at MCBD, was chief planning officer; Danny Brooke-Taylor, ex-TBWA – and MCBD ecd since 2007, joined forces with Dare founder Flo Heiss as joint executive creative director; and Michael Pring, MCBD managing director, became managing partner at Dare. However, the balance of power within the merged agency was critically affected by the loss of MCBD’s signature £25m Waitrose account, which conflicted with Dare’s Sainsbury’s digital business. And, as if this were not enough, public sector advertising – one of MCBD’s fortes – imploded following the Government’s decision to close down the COI. Of the original MCBD top team, only Nairn is left. Calcraft scaled back her commitments to a part-time role late last year; Pring quit last October. Now Brooke-Taylor (l) has left in equally mysterious circumstances. I know what experienced agency hands are going to say. Mergers were ever thus. They are a polite fiction – designed to keep the clients in ignorance – for a Darwinian dogfight in which the weaker parties eventually take their money and run, or get run over. Except, if that was the cynical calculus behind this particular merger, it has badly misfired. Too many top MCBD people have quit too quickly for client comfort. To explain what I mean, let’s return to that £28m Gocompare account. The foundation of the win surely has roots in the past. I’m thinking of the £17m moneysupermarket.com price comparison business, wrested by MCBD from Doner Cardwell Hawkins – and stiff competition mounted by Fallon, Adam & Eve and BBH – in 2009, when Brooke-Taylor was MCBD ecd. Not everyone was a fan of the work – fronted by comedian Omid Djajili – that followed (hand up, though: I was, especially the valedictory execution featuring Prezza and his two Jags). Arguably, MCBD – however entertaining it made the ads – failed to come up with a memorable enough brand-name mnemonic, and paid for it with the loss of the account early last year. But it would be difficult to deny the agency succeeded in one crucial task where internet companies (and especially price comparison aggregators) often fail. It gave moneysupermarket.com a distinctive personality, backed by a compelling and entertaining narrative. It is these skills that I suspect will be lost with the extinction of MCBD culture, even though the now-established asset value of that opéra bouffe chararacter “Gio Compario” should – in theory – make Dare’s task much easier second time round. Paul Polman, chief executive of Unilever, is either a very wise or foolish man. At this stage it is difficult to tell which. All we can say is that he has embarked on a courageous and momentous enterprise. Ogilvy & Mather, which recently won Unilever’s multi-million pound corporate development account from Fallon, will shortly unveil details of the company’s 10 year sustainability strategy – Polman’s brainchild – to a largely unsuspecting public. We’ve heard a lot about companies commitment to the mantras of corporate social responsibility – the Triple Bottom Line (3BL) of People, Planet and Profit. But frankly not much action, since Marks & Spencer’s milestone Plan A initiative in 2007. Polman’s plan is a lot more ambitious than M&S’s – and a lot more risky in the open-handed commitments it makes to supporting causes that may boomerang on core corporate objectives of profit and brand share, if mishandled. To give the flavour of the plan’s ambition, it commits Unilever to source 100% of its agricultural-sourced products sustainably; to halve the environmental footprint of all its products – not just at the manufacturing stage, but from suppliers through to consumers; and to tangibly benefit the health of 1 billion people. All this in ten years. Even Polman admits he does not know how it’s going to be accomplished – yet. The measure of the risk is this. 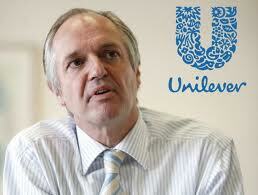 Unilever is a major public company dependent upon the goodwill of institutional investors and their financial advisers. These people deal in quarterly earnings assessments, not ten-year plans based upon ‘idealistic’ notions. There’s still very little appetite in the City for the “Planet” element of the 3BL. So far, so good for Polman’s reputation: he has delivered 6-quarters of uninterrupted earnings growth. For now, they’ll humour him. But what happens if, at some future date, ‘Planet’ gets in the way of ‘Profit’? Similarly marketing and brands. Polman has taken the visionary step of placing marketing, communications and Unilever’s sustainainability policy in the hands of its chief marketing officer, who for the first time is a board-level executive. That certainly advances the cause of joined-up strategy at the highest level. But it may give Keith Weed, the CMO in question, a few headaches when he comes to reconcile the consumerist ethic with a creed which is, in some respects, anti-consumerist. There’s more in my Marketing Week column this week, not least some speculation on why Polman is prepared to take such an enormous gamble with his hitherto unblemished career. For months it has been an open secret that Phil Rumbol, former Cadbury marketing director, was plotting to set up an advertising agency. The trouble was, most of us were on the wrong scent; the idea being he was going to head the London arm of Omnicom’s creative boutique, Goodby Silverstein & Partners. At the same time, there were ominous rumblings of discontent at Fallon, the creative outpost of SSF, which also runs Saatchi & Saatchi London. Fallon – once highly praised for its Sony Bravia and Cadbury work – has latterly been dubbed “Fallen” by industry wags who, no doubt, have in mind the successive loss of the £70m Asda account, Sony, and the transfer of the £100m Cadbury account to Saatchi after some controversial Flake work went awry. The talk was of a possible management buyout. In the event, it is chairman Laurence Green and creative director Richard Flintham, rather than the agency, who have walked. What we had failed to do was mix these two things together and make an explosive compound. All the more so since the story – broken by my colleague Sonoo Singh, editor of Pitch – has self-detonated in the very week that Saatchi & Saatchi celebrates 40 years of success in its party of the decade. Details remain sketchy. We don’t, for example, know what the breakaway agency is to be called, nor whether it has any business. Kerry Foods has popped into the frame, specifically the Wall’s sausage brand. If so, it must be a gift from Saatchi. Whether that’s the case or not, what’s really interesting about this start-up is the key role being played by a former client. Rumbol, so far as I can make out, has never worked in an agency himself, but he has had a distinguished career as a client, which has resulted in some memorable advertising. Boddington’s Cream of Manchester campaign was one of his early achievements, he was the Stella client (need I say more), and the commissioning force behind Cadbury’s Gorilla and Eyebrows campaign, not to mention the more controversial launch campaign for Trident chewing gum. Rare is the client with such a creative pedigree. Possible examples: David Patton, patron of the Sony Bravia “Colour like no other” campaign; Simon Thompson, long-time sponsor of Honda ads such as ‘”Cog” and “Grr” ; and – long ago – Tony Simonds-Gooding, who tore up some unsupportive research and gave Lowe Howard-Spink the go-ahead with ‘Heineken refreshes the parts other beers can’t reach’. Rarer still is the client who is physically involved in a start-up and prepared to put his reputation, and possibly career, on the line; as rare in fact as hens’ teeth. It’s said that Rumbol earlier got close to signing a deal with Goodby, but that the stumbling block was the creative process, which would be shipped out to HQ in San Francisco. I can well believe it. Here’s someone who clearly has the courage of his convictions. 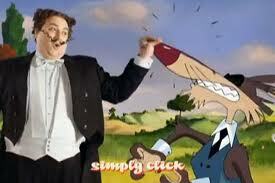 POSTSCRIPT: Spookily, Fallon has just conjured a new chief executive out of the hat, after a 6-month search. She is Gail Gallie, who was responsible for the BBC becoming Fallon’s first client in 1998. PPS. It has been pointed out to me that the nearest precedent to Rumbol is the revered John Bartle. Oddly enough, Bartle himself was a Cadbury client. He worked at the confectionery and food company for eight years and, among other things, fostered Boase Massimi Pollitt’s celebrated Smash campaign. The significant difference with Rumbol is that Bartle then spent nine years in an advertising agency, TBWA, before forming the breakaway group that set up Bartle Bogle Hegarty in 1982. UPDATE 24/12/10: The new agency is to be called 101 (not, thankfully, Room 101). The name has nothing to do with the agency’s official opening day, 10/1/11 – I’m told by a reliable source. We have yet to learn whether it has landed a big fish. The Advertising Standards Authority will next week officially reprimand Asda for broadcasting exaggerated and misleading advertising – an ironic counterpoint to the supermarket’s successful challenge to Tesco advertising on one of the self-same grounds last week. The complainant suggested the ad was misleading because the guarantee was a superfluous gimmick; consumers are already offered a longer period to return faulty items under the Sale of Goods Act. Asda responded by claiming that the 100-day guarantee enhanced the rights of the consumer beyond the Sale of Goods Act, by covering not only faults but issues with quality. It also argued the guarantee encompassed a 100-day “cooling off” period during which consumers could return any item of clothing if for any reason they did not like what they had bought. The advertising watchdog found fault with Asda on several grounds. It said the Sale of Goods Act required sold goods to be of satisfactory quality as well as fault-free and, under that legislation, a consumer had 6 years to bring an action for breach of contract; in addition, for the first six months the onus was on the seller if a consumer found fault with quality. It said the ad failed to make mention of any 100-day “cooling off” period. Asda has been ordered not to show the ad in its present form. 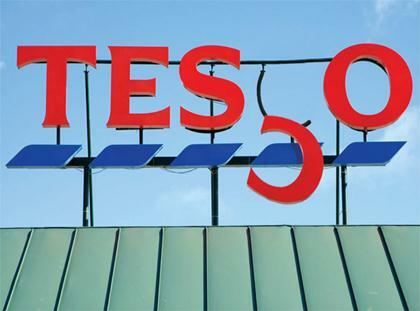 More musical chairs in the grocery sector. Although at a lower level than those explored in my Marketing Week column this week, they are connected to the same phenomenon: the need for change. Mark Sinnock, Asda’s marketing director, has mysteriously quit after only 15 months in the job and been replaced by director of marketing strategy Jon Owen. To outward appearances, Sinnock was a fish out of water in the hermetic world of supermarket senior management. Rather than working up from the ranks, he was imported directly from Asda’s then advertising agency, Fallon, where he was chief strategy officer. On closer inspection, however, there were some uncanny echoes in his career move to that made by his mentor and boss, Rick Bendel, who currently rejoices in the title of chief marketing director. For years, Bendel himself had been an adman – one of whose principal concerns was nurturing and safeguarding the invaluable Asda account (it spends £70m a year in today’s terms). When, after reaching the top of the greasy pole at Publicis Worldwide, his luck ran out in the agency world, he was able to make an effortless transition to the client side – as marketing director of Asda. By a further curious irony, Bendel, having left Publicis, promptly fired his former agency and transfered the Asda account to Fallon; in a similar fashion Fallon lost the business to its sister SSF agency, Saatchi & Saatchi, when Sinnock himself went client side. The Sinnock hiring was part of an elaborate empire-building exercise in the marketing department whose welter of titles has left outsiders bewildered at to what exactly everyone does. Sinnock reported directly to an elevated Bendel, and was responsible for “developing the marketing and customer strategy across the breadth of Asda’s marketing function,” whatever that means precisely. Alongside him was Katherine Paterson, Asda’s marketing director for communications. Then, reporting to Paterson, was head of brand marketing – and former McCain marketing director – Simon Eyles. One thing transparently clear from the title verbiage is that Sinnock was brought in to simplify Asda’s complex marketing problems. It’s equally clear that the once-favourite has failed in his task, or perhaps been scapegoated for a collective failure. 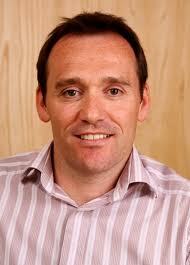 The new boy, Owen, is of more traditional stock, having joined Asda as head of research in 2005. He will combine responsibility for strategy, advertising, insight and pricing. It’s hard to avoid linking his appointment with chief executive Andy Bond’s move upstairs at Asda and the arrival of a new ceo, Andy Clarke – Asda’s former chief operating officer. In May Asda revealed a slump in its like-for-like figures, which were down 0.3% in the first three months of the year. It marks the first time they have gone into reverse since 2006. Asda is desperate to shed its image as a recession-driven, promotion-mad price-slasher and has returned to its traditional strategy of everyday low pricing. It is claimed that Owen masterminded the recent Asda Price Guarantee initiative. Certainly his appointment underlines a shift towards greater simplicity and a reassertion of the tried and tested in Asda’s marketing strategy. I’m reliably informed that the “senior role” at Kraft being taken up by former Cadbury European chief Tamara Minick-Scokalo is head of European confectionery. She will therefore be the pivotal figure in integrating Kraft’s existing product range – principally Toblerone and Milka – with the newly acquired brands at Cadbury. Readers of this blog may recall that she left Cadbury in slightly mysterious circumstances at the beginning of last July. An American with 20 years experience in Procter marketing, Minick-Scokalo moved to Europe a few years back (she is based in Geneva) and took on the top marketing/general management roles at US wine maker E&J Gallo, then Elizabeth Arden. Two years as head of global commerce at Cadbury Schweppes followed. She afterwards became European president of the demerged Cadbury confectionery operation, in January 2009. As such, Minick-Scokalo sat on the Cadbury executive board, reported directly to chief executive Todd Stitzer, and had control over Cadbury’s confectionery operations in both East and West Europe: that is, over 10,000 employees, €1bn annual sales and numerous factories. But Stitzer, up to this point her champion, let her go after only six months in what appears to have been a selective senior management cull designed to cut costs. How fortuitous then, that Kraft should launch a takeover bid for Cadbury in September and, having sown up the deal a few days ago, hire Minick-Scokalo to mastermind the brands’ integration from March 1. Whatever else may be wrong with the corporate “merger” (Warren Buffett is the expert on that matter, not me) integration of the two confectionery operations in Europe looks like an obvious fit. Cadbury, outside the chocolate-gobbling UK, is a patchwork quilt in need of further rationalisation; Kraft, on the other hand, already has strong Euro brands in Milka, Toblerone and Terry’s. I do hope the senior managers who stay on at Cadbury (the top three having already quit) were nice to Minick-Scokalo before she left. Ignasi Ricou, who succeeded Minick-Scokalo as Cadbury president of Europe, and Phil Rumbol, UK marketing director, will no doubt be polishing their CVs just in case. I imagine she will also have a hugely enhanced fan club in the marketing services world. Ogilvy, for example, handles the Toblerone brand and JWT does Kraft corporate advertising. Fallon need not lose all hope, however. Minick-Scokalo championed the ‘Gorilla’ advertising campaign.